Who says kids don’t know a damn thing about the old days? Well, probably every baby boomer still kicking, but that is not the point. Should some of these death to the new school folks actually learn this Google thing, they might be surprised what they will find. And if we were to speak in terms of those damn young people taking over Americana and old school folk music, I am absolutely certain they would dig the sultry and satisfying sound of Smooth Hound Smith. From within the depths of the great band of show(wo)manship known as The Dustbowl Revival, we find Caitlyn Doyle hooking up with her man Zack Smith and moving out on their own on this slightly more stripped down, less ragtime-ish, and entirely beautiful debut album of theirs. Just as you should come to expect from any Americana artists, here you will find wonderful ditties about love, loss, and what exactly it means to have a damn good time even when you feel like doing nothing more than crying yourself to sleep. Caitlyn Doyle’s beautiful west coast meets down south vocals pair up oh so perfectly to Zack’s smoking bar room pipes when they share lyrics. Hearing these two sing together is an amazing contradiction that is simply a delight. When it comes to finding the best Americana artists out there today, there simply is no contest. Smooth Hound Smith is as good as it gets. And the getting is pretty damned good! 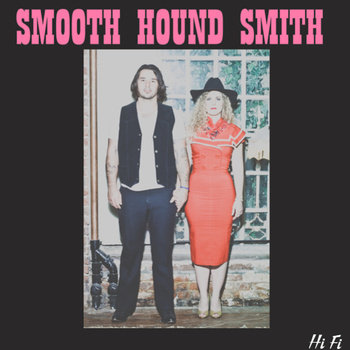 Pick up a copy of Smooth Hound Smith’s debut full length album right HERE.